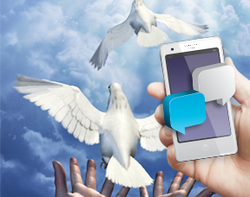 Inspire your congregation through the communication channels that are a part of their daily lives. 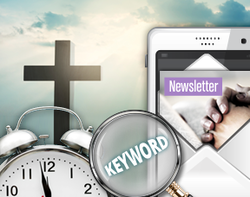 Nurture a spiritual and engaged community while boosting attendance with My Media Marketing's All-In-One Messaging solution. Our multi-channel messaging platform enables you to effectively reach all of your members via today’s most popular channels - mobile text, email & social media. It means that your message will reach every age group of your congregation, from young to old, on their preferred channels, be it texting or automated phone calls. Get everyone involved! Keep members updated about upcoming events via email, social updates, and mobile text messages. 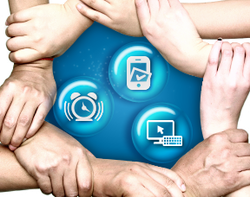 Launch a Mobile Voting campaign to quickly gather feedback on topics or events. Remind people about an event’s location and time or any last-minute changes with SMS reminders. 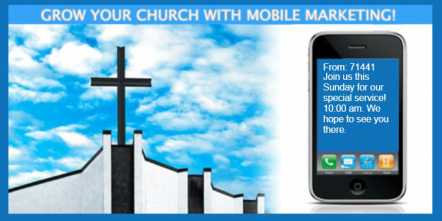 Finally, make your services or other large events interactive in real-time via Text-to-Screen by taking prayer requests or scripture questions on a large-screen display.. Right from your desktop, help build lasting spiritual relationships between your staff and your members as well as among the congregation. Encourage your members with daily passages or words of inspiration. Provide individualized attention with text messages greeting receiver by name. Also send personalized Mobile eCards or multimedia emails on special occasions, like birthdays and holidays. Encourage word-of-mouth evangelism on social networks through frequent Facebook and Twitter updates. Copyright 2012 Website Designed & Powered by: My Media Marketing, LLC. Mobile Marketing Packages , Mobile Marketing Management Services, Social Media Management, Website Creation, Domain Names, Website Hosting, Mobile Web Apps and Web Power Listings.